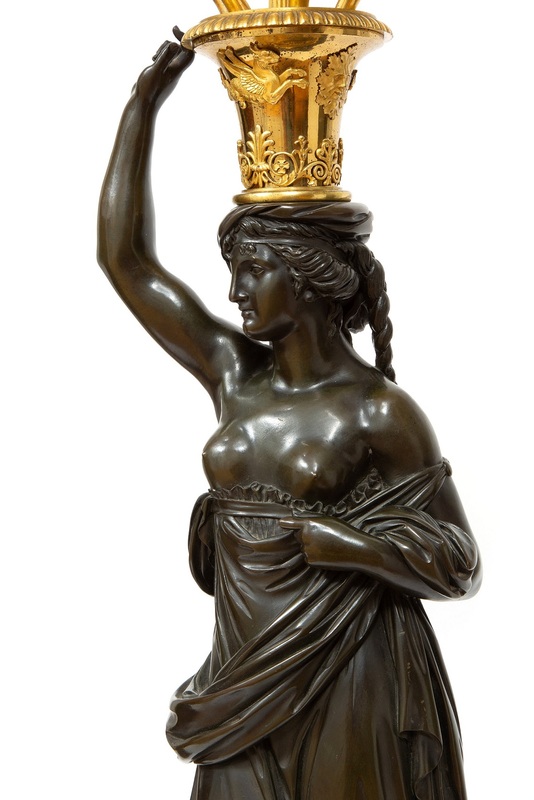 The two finely cast and chiseled female figures were designed by François Remond around 1785. 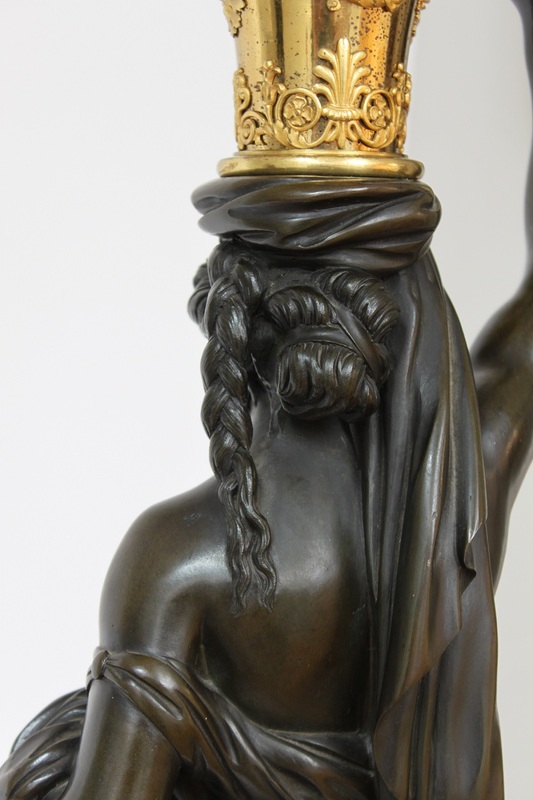 Both classical females are modeled after Greek Caryatids with draped garments. 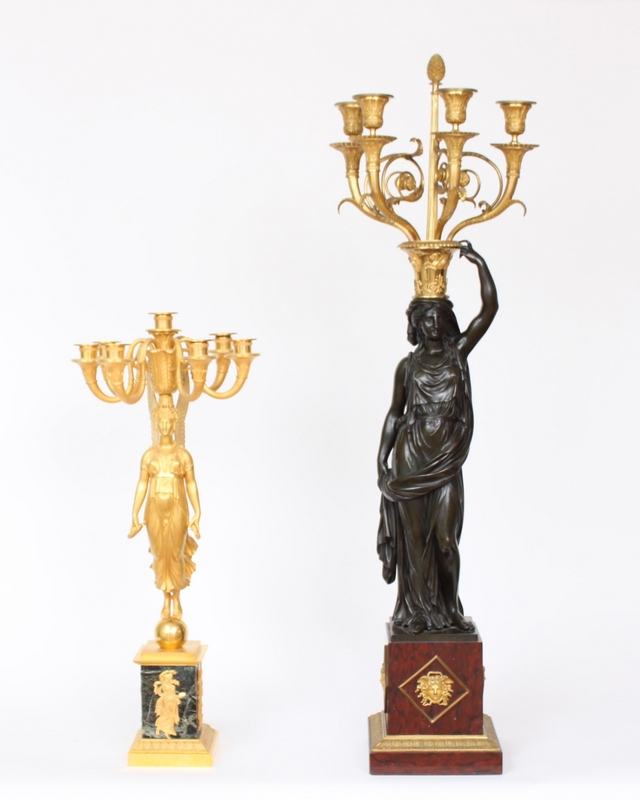 Both have one arm raised towards an urn shaped cone with griffins and floral decor. 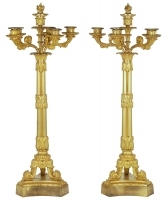 On these are fluted stems surmounted by an acorn surrounded by four shaped arms with the candle holders. 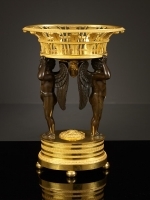 Both figures are placed on a square griotte rouge marble base with ormolu masks and a finely cast and engraved acanthus moulding. 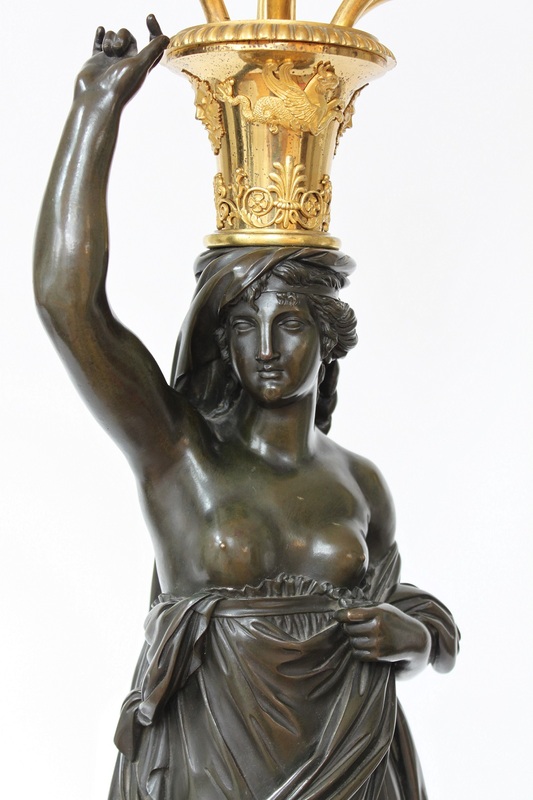 François Remond is one of the most important bronziers and ciseleurs of his period. He was one of the initiators of the Louis XVI Classicism. Because he worked both as a bronze caster and a chiseller he was able to exert a lot of control on his fine production. He was a student of the famous bronzier Vidal and became Master in 1774. Testament of his rapid rising star was the fact that he already in 1786 had the fourth highest turn over of about 800 bronziers in Paris. 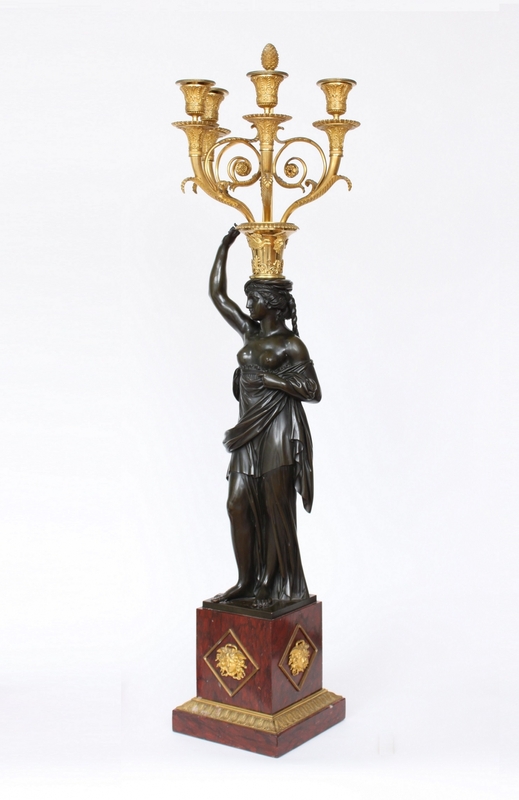 By working for and together with the famous dealer decorators Dominique Daguerre and later Martin-Eloi Lignereux his worked reached the upper circles of society. Works of art made by him were sold to the Duke de Penthiève and Princes Kinsky, Queen Marie-Antoinette, The Duke of Artois and the Duke of Adhémar. 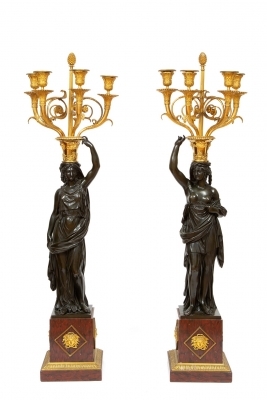 from the records we know that a similar pair of candelabra were sold to the Duke de Penthiève on August 16 1785 for 3.400 livres. On December 24th of the same year another similar pair sold to Princes Kinsky for 2.200 livres. A further pair is in the ministry of Defence which formerly was in the Hôtel de brienne, home of Letizia Bonaparte mother of Napoleon I who owned it from 1805 until 1817.